Every now and then, we’re given another opportunity to get to know a musical artist at a deeper level – to get a clearer glimpse of the creative force within, and the ways in which it’s manifested in the aural world. Such is the case today with Neamen Lyles, the young saxophonist whose second album now makes its way into the marketplace of musical idea. 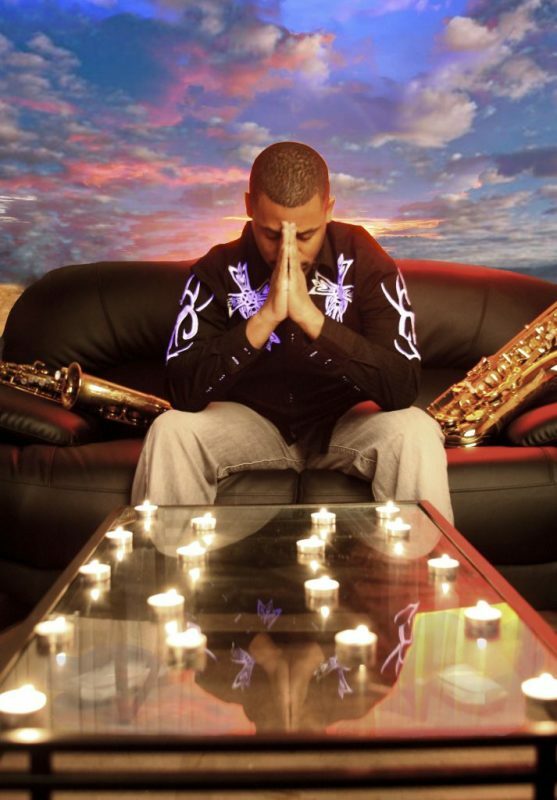 As you come to know this rising smooth jazz artist, and hear his latest recorded output, you genuinely, deeply appreciate where he came from and where he’s headed. And, if you’re looking for validation of that appreciation, a glance at his record of accomplishments and associations over the past half dozen years provides it in ample measure. Accomplishments and associations: Recordings and performances with the likes of Jeff Lorber, Rick Braun, Mel Brown, Mindi Abair. Shared concert billings with Dave Koz, Jay Soto, Greg Karrukas and others. No slackers in those lists. Accomplishments and associations: Multiple rave reviews for his 2011 debut CD, So Free. Continued national TV and radio airplay since that release. Singles reaching Top-40 status nationwide. An XM-Radio artist of the week. Recording the theme for PBS’s hit show “Dr. Who”. So now, you do know a bit about this man, this rising smooth jazz star, Neamen Lyles. At least you know a bit about his track record – his accomplishments and associations. But, there’s more to know, more than meets the eye or the ear. Neamen is more than a sax performer, more than a musical artist of considerable achievement, more than a dynamic, at times inspiring, performer on stage. Neamen Lyles’ roots are firmly planted in the Southwest. An Arizona native, he honed his musical chops through high school in Phoenix, then burnished them in Tucson for four more years, earning a Jazz Studies degree at the highly-regarded University of Arizona Fred Fox School of Music. Along the way regional, national and international touring with U of A ensembles, and opportunities to share the stage with a Who’s Who of American jazz greats, added more polish. Some young aspiring musical artists slog through their practice drills, the solitary times they must spend developing and refining their craft. Not so for the young Neamen, who notes: “I began practicing two hours a day from the very beginning” – a discipline that no doubt served him well in the years since, given the three- our four-hour-per-day practice regimen typical for college instrumental performance majors. Then there’s his pedagogical side. A key faculty member at the Tucson Jazz Institute, he’s had the chance to mentor and nurture a growing studio of talented young students at the Institute, where he teaches improvisation and also coaches combos. The Institute has become one of the leading centers for youth jazz instruction in the nation. And there’s a spiritual side that keeps him focused…centered…disciplined almost beyond measure. The joy he exudes in music-making – the gift from God that he shares so generously — is palpable, not only in his playing, but also in his genuine, down-to-earth way of living, loving and relating to the world. It’s a contagious joy, and it flows from a deep, deep well. Growing up in the 80’s and 90’s, strengthened by his faith, and intrigued by the burgeoning “smooth jazz” genre and movement, Neamen developed a style both unique and universal, an approach to his sound that both honors those who’ve preceded him and marks a fresh, clearly delineated path forward. It’s a path that reveals some new twists and turns on Neamen’s latest CD, Moment of Truth. Hear it, and you’ll know a bit more about this talented, ambitious, forward-thinking sax master. You’ll know a bit more about his musical roots, his spiritual journey, and why those remarkable accomplishments and associations keep showing up in such abundance, such plentitude. Neamen Lyles: author of an ascending career, creator of a dynamic new CD, as well- conceived and produced as anything in the genre in a long while. This young man’s musical journey, along with the accomplishments and associations that comprise it, is just getting rolling. It’s worth a watch and a listen.